Born in Reading, Jamie joined the Reading Youth set up at an early age and signed a professional contract with the club in February 1998. He made his debut for the Royals in February 2000, in a 5-0 win over Oldham Athletic, but with limited opportunities to play in the first team, he went out on several loan deals to provide experience of first team football. In March 2001, he went to Gravesend & Northfleet on a one month deal, followed by AFC Bournemouth in August 2002. 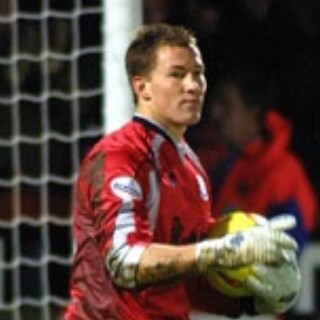 Jamie arrived at Nene Park on 13 November 2003 following an injury to Billy Turley. 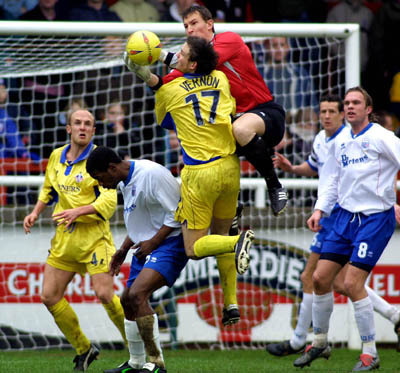 Although initially on a one month deal, this was later extended until the end of the season however, he was recalled by Reading on 15 March 2004 due to injuries to their own keeper. Jamie Ashdown made a major impression at Diamonds during his 19 games, earning him several ‘Player of the month’ awards during his stay. 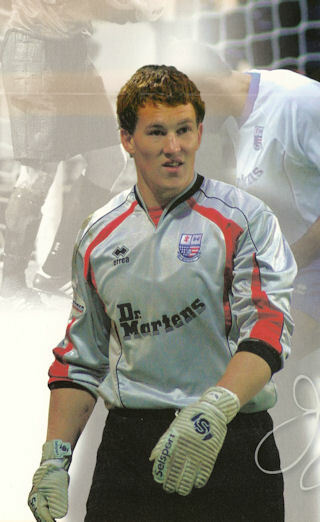 During the summer of 2004, he declined an extended contract with Reading, and joined Portsmouth although managerial changes saw him as second choice keeper. He went on loan to Norwich City in October 2006, but was sent off in his second game for the Canaries, and returned to Portsmouth. He made a total of 124 appearances for Pompey, but following continued financial problems at the south coast club, Jamie signed a two-year deal with Championship side Leeds United on 24 July 2012. He made just 8 appearances during his stay at Elland Road, before leaving in the summer of 2014. He signed a short term (half season) contract with League One side Crawley Town on 29 August 2014. In February 2015 he joined Oxford United, his final club before hanging up his gloves. His Wikipedia page is here.